Compliance and effective governance lie at the heart of good business practice. Compliance with laws, industry codes of conduct and MCI’s own strong values & guiding principles form the basis of how we do business and is the foundation on which we engage with society, clients, partners and suppliers. Corruption costs the global economy over a trillion dollars a year, and is an obstacle to economic growth, social development and democracy. In addition to our CEO commitment, MCI signed the UN Global Compact Call to Action and is calling on governments to promote anti-corruption measures and implement policies that will establish systems of good governance. The Call to Action urges Governments to underscore anti-corruption and good governance as fundamental pillars of a sustainable and inclusive global economy. We undertook our business ethics risk assessment and have assessed the average risk of corruption and bribery as low across the MCI Group. Some of our offices are in countries where there is increased risk of corruption especially in projects with governmental organisations. Consequently we are currently developing a risk based approach integrating Transparency International’s Corruption Perceptions Index. In 2017 MCI did not receive any fines or sanctions for unethical business practices and/or non-compliance with laws and regulations. No cases of discrimination or human rights violations were reported. 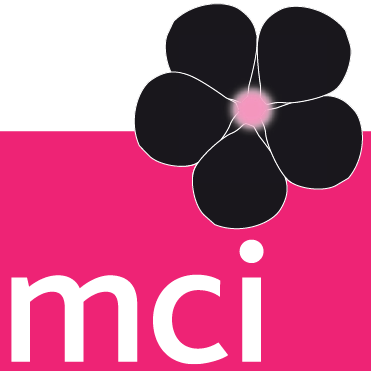 MCI does not make any contributions to political parties or politicians. Additionally, the events we organise for clients in the pharmaceutical and medical device sector are bound by strict codes of compliance. The respective EFPIA and MedTech Europe codes lay down a set of fundamental rules covering a range of activities such as commercial and medical publications, interactions with Healthcare professionals and related hospitality through direct and indirect sponsorship. Our Healthcare team is responsible for the implementation and the training of process and procedures to our talents. This team is aligned with and works in partnership with the Ethics Team at MCI. The policy and expectations for MCI employee behaviour and actions on behalf of the company and its clients are specified in the MCI Code of Business Ethics. Based on the UN Global Compact principles, the Code expresses the values and principles for conducting business in a responsible and transparent manner. It is the minimum level of behaviour and is mandatory for all MCI employees. To support our employees in their work we created the MCI Anti-Corruption Guidelines. We apply our values to our supply chain through the MCI Supplier Code of Conduct. The policies are reviewed annually by the Group Sustainability Team in collaboration with the appropriate teams (finance, procurement, HR etc.). Typically they are updated every two years. Before being released they must be reviewed and signed off by the Executive Committee. These policies were updated in 2016 to include stricter ethical policies, including gift and entertainment policies, and anti-corruption procedures. In 2016, we launched our dedicated “Ethics and Anti-Corruption” microsite on the MCI intranet. The comprehensive page acts as a one-stop-shop for talents seeking information on our policies and guidelines, as well as training presentations, recordings and case studies on how to deal with ethics-related challenges. MCI’s advisory board, executive committee, business board and regional leadership teams ensure the tone of good governance at board level and below, leading by the strong principles and values that provide the framework for how we do business. Read more. Violations or suspected violations of our Ethics and Anti-Corruption policies may be submitted in good faith on a confidential basis by the complainant or may be submitted anonymously via our Ethics Team. Reports of violations or suspected violations will be kept confidential to the extent possible, consistent with the need to conduct an adequate investigation. Our employees will not suffer demotion, penalty or other disciplinary action for reporting a suspected violation of these guidelines or for refusing to pay or accept a bribe, even if MCI may lose business as a result of the refusal to do so. When in doubt about a potential unethical situation or the best course of action, employees or suppliers can communicate directly with the local management. If they are not comfortable speaking with contact person or not satisfied with the resolution, they can contact the MCI Business Ethics Team at ethics@mci-group.com. MCI staff are responsible for addressing issues that are brought to their attention.